No matter the road you wish to traverse, the 2016 Jeep Cherokee near Las Cruces, NM will do its best to get you there. With true off-road ability, this model trumps its rivals when it comes to rocky, rough, slippery, and steep roads. Whether it’s light or heavy off-roading, the Cherokee’s four-wheel-drive systems meet the challenge. 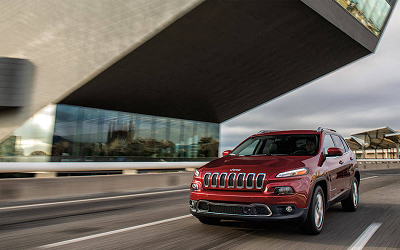 The 2016 Cherokee may sound tough on the outside, but it’s soft and comfy on the inside. If you’re looking for a comfortable off-road ride, visit a Jeep dealer serving Las Cruces to test drive this model. Available in Sport, Latitude, Altitude, Limited, and Trailhawk, the 2016 Cherokee fits a wide range of drivers in search of a thrilling ride. The Cherokee offers two engine options: the 2.4-liter four-cylinder, producing 184 horsepower and 171 pound-feet of torque with a fuel economy reaching up to 22 city/31 highway mpg in front-wheel drive. Posted on August 31, 2016 by CedrickPosted in BusinessTagged 2016, cherokee, dealership, jeep, las.